Trees – Arboribus. Trees are tall consisting of roots, trunks, and secondary branches, as well as leaves in the majority of species. Although trees are not a formal taxonomic group, the term is used for a range of tall, long-lived plants with woody trunks and bark. Most trees reproduce with seeds. These trees have a vibrancy of reds and orange colors in Autumn and are a super fast growing tree with heights of 70+ feet at maturity. The autumn blaze maple tree is a family favorite. River Birch Tree - River birch is a tree that overgrows and has showy bark that is pleasing to the eye. This tree can grow up to 35 feet in height and has an oval-shaped crown. It thrives in a variety of soils but likes moist to very wet ground best. River birch adds flair to any yard and is easy to grow. Oddly enough this oak doesn't take a century to grow and become majestic. This deciduous tree can reach up to 80 feet in height at maturity and has a canopy full of dark green leaves. Shumard oak is tolerant of dry conditions and turns shades of red and orange during the fall months. Sugar Maple Tree - Sugar Maple Trees are an excellent choice for yards that are rocky or sandy. It multiplies and is used primarily as a shade tree. The forever loved sugar maple tree is known for its perfection in shape and canopy full enough to shade an entire lawn as well as its bright yellow fall colors. This tree is a favorite among homeowners who want a shade tree because it does not produce a great deal of leaf litter or have root problems. Trees enhance a landscape by adding beauty and also protection from harmful sun rays. Trees increase the air quality and provide fresh air as well as reduce cooling costs by as much as 17% in hot summer months. They also protect homes from damaging winds, highway head lights and noise. 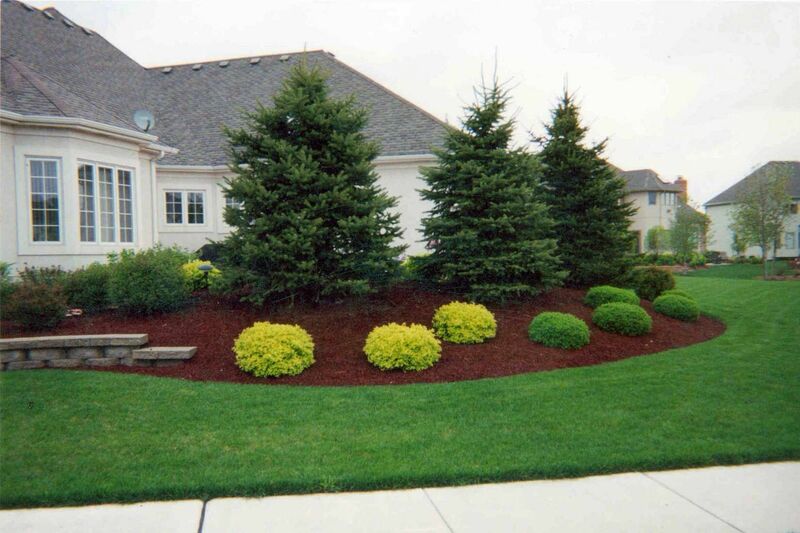 There are so many advantages to landscaping they are too numerous to list. An American Realtor Journal publication states that they also increased the appraisal and resale value of a home by as much as 17%. Trees are simply a plant that a landscape needs to be complete. Without the beauty of trees incorporated into the area, it always appears that something is missing. These plants are very necessary to the environment. Some of these provide cool shade in the heat of summer. Others help to clean the air of pollution. Still others help with areas that are prone to soil erosion. And of course, they provide oxygen. Trees can even help lower utility bills. It is proven that houses or businesses with trees around are cooler than ones that have no trees. These are all easy to grow, and our website has such a great selection.